Local police are appealing for information after a property in Holton le Clay was burgled, and a quad bike was stolen from a shed near Alford. The Louth Rural Neighbourhood Policing Team said that, between September 9-11, a property on Pinfold Lane in Holton Le Clay was broken into, and property was stolen from within. If anyone saw anything suspicious in this area, call 101 and quote incident number 397 of September 11. 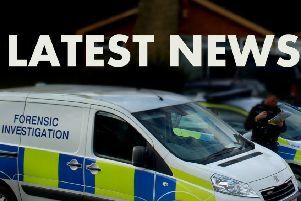 Meanwhile the Mablethorpe Neighbourhood Policing Team said that in the village of Rigsby, near Alford, a Yamaha Kodiak dark green Quad Bike was stolen from a locked shed Friday evening (September 8) and early Saturday morning (September 9). Anyone with information about this incident should call 101 and quote incident number 160 of September 9.